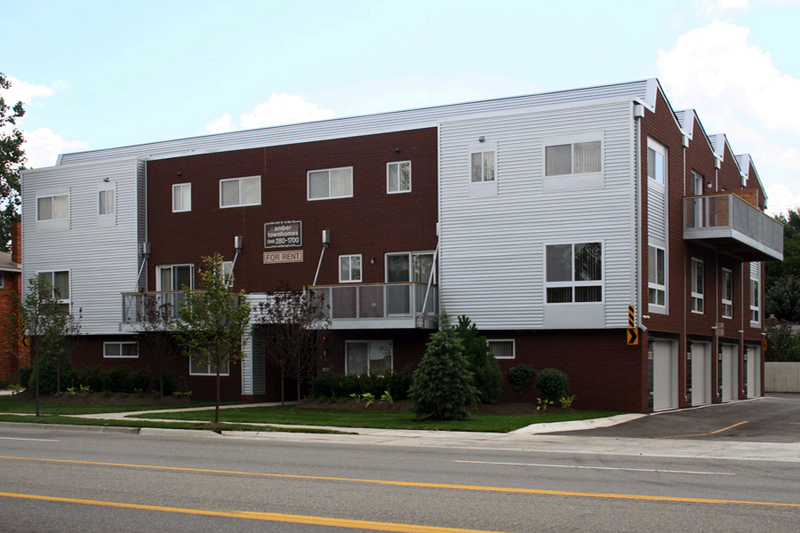 Amber Townhomes -- eight 3-story brick and metal townhomes located on the south side of W. 14 Mile Rd., east of Woodward Ave. and west of Coolidge Hwy., Royal Oak. Each of the four corner Cambridge loft-style 2 bedroom + den townhomes is on three levels, with 2½ baths, private entry, central A/C, full size washer and gas dryer on the upper floor, and inside one car garage. Each of the four interior Springfield loft-style master suite + den townhomes is on three levels, with 1½ baths, private entry, central A/C, full size washer and gas dryer on the upper floor, and inside garage. The third floor master suite bathroom has both a 6' soaking tub and a 5' stall shower. 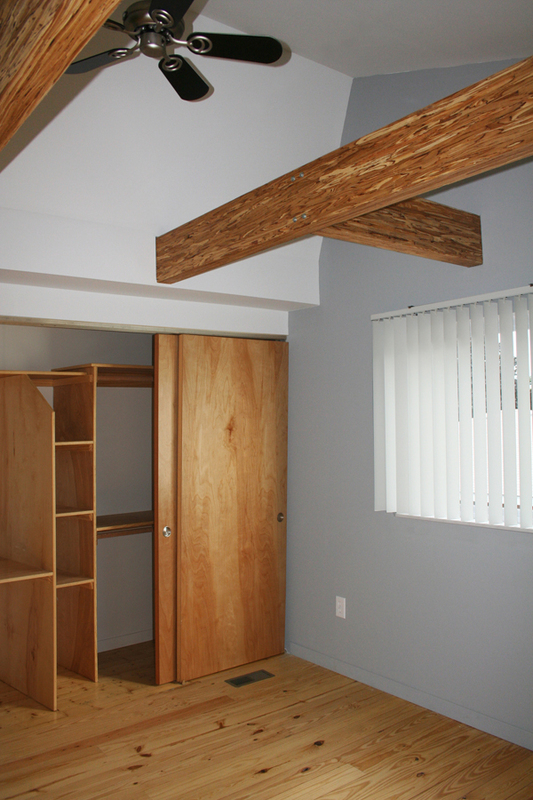 The townhomes also have exposed trusses and heating ducts, and polished concrete floors in the den. Cable T.V. available. 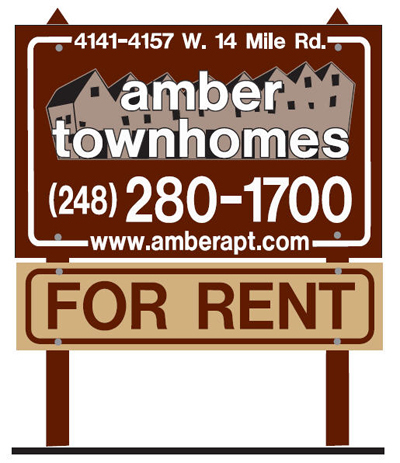 Amber Townhomes are adjacent to Birmingham and Troy. 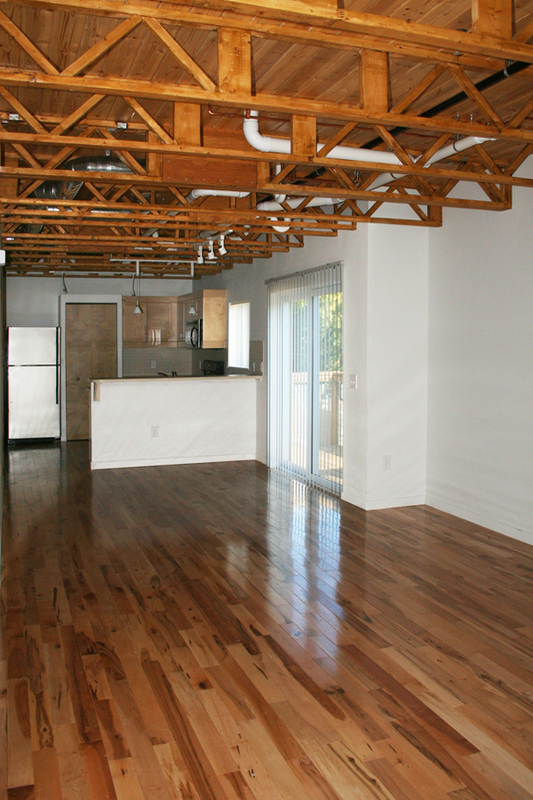 Also close to schools, parks, Beaumont Hospital, Woodward Ave., and nearby offices.